i wonder why L920 is not included to the top popular phones which gets 47% daily interest up to date here..
AnonD-32581, 04 Dec 2012that's stupid, people don't go blowing up there phones or holding a gun to eat, what were you ... moreof course not, lol, i have tried it on a kevlar and minced it, Lumia 920 surely is not certified for that purpose, however you drop it on the floor, it breaks the floor.:p! Anonymous, 04 Dec 2012My mother told me, android is problematic because of the lack of updates problems with android... moreThen i am sure, u aren't talking about the planet earth.!! 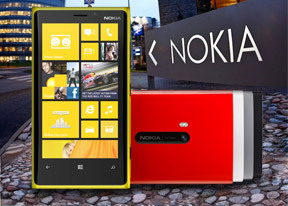 Nokia dominates Windows Phone. Samsung and HTC can't compete with them on the same platform just like the old days. Nokia makes the best hardware and they have best support. AnonD-79010, 03 Dec 2012There is actually a rumor that Nokia will make an android phone. If true, I hope they make one soon.Nokia already denied the rumor on their Twitter. They will never make an Android phone. They stick with what is best. AnonD-79010, 03 Dec 2012The iphone has some good apps, but it's not very customizable and lacks a lot of features and ... moreMy mother told me, android is problematic because of the lack of updates problems with android working with other phones, lack of quality apps, mal ware, problems with, lag, crashes, and once again, problems with waiting for udpates? You know why the s3 does not have jelly bean 4.2 right? Are you actually even aware of that? 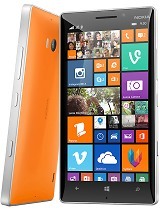 The top 2 phones on the planet are Lumia 920 and the ip5. chunk, 03 Dec 2012Good luck Nokia ! but you ’re missing a Hunhred millions (smartphone unit) sale in 201... moreThere is actually a rumor that Nokia will make an android phone. If true, I hope they make one soon. Anonymous, 02 Dec 2012when compared to the iphone apps, android apps are nothing....so even an iphone user will not ... moreThe iphone has some good apps, but it's not very customizable and lacks a lot of features and has 2 year old technology. Android has good apps, is highly customizable, and has many awesome features. The Nokia is just a little better than iphone, but android is waaaaaaay better than both. My brother went from an iphone to an android and was about to buy the Nokia 920. But he said that the Nokia just wasn't as good as android and decided to buy another android. 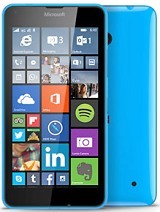 So, #3 iphone, #2 Windows 8 Phones, #1 Android phones. AnonD-79147, 03 Dec 2012guyz please help me make a chioce.....cant decide which color tu purchase.....give opinions pp... moreThat's easy, if you usually wear sport or colorful clothes get glossy. If you wear business code get matte. guyz please help me make a chioce.....cant decide which color tu purchase.....give opinions ppl....and what is better.....glossy or mattne....:p ?